"Our roster of auction house partners also continues to grow as more houses embrace millions of online bidders coupled with increased demand delivered by Artfact’s online marketplace. This combination of bidder growth and new auction houses has driven Artfact’s robust growth." BOSTON--(BUSINESS WIRE)--Today, Artfact, the world’s largest online live auction marketplace, announced robust growth in its business based on July 2013 auction revenue and transactions. Year-on-year, the company experienced a 142 percent increase in auction revenue driven primarily by a 99 percent increase in the number of buyer transactions compared to July 2012. The month of July featured an incredible set of high profile sales on the Artfact platform. Representing the diversity of items available on Artfact, these pieces are noteworthy for achieving prices sold significantly over the high estimate for the auction. 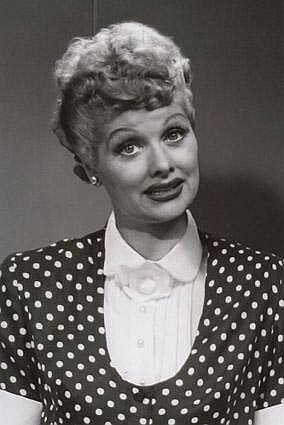 One of a the most prominent items was Lucille Ball’s signature “Lucy Ricardo” polka dot dress designed by Elois Jenssen for the ground-breaking American sitcom, “I Love Lucy.” I Love Lucy was the most watched television show in the United States in four of its six seasons, and was the first to end its run at the top of the Nielsen ratings. Frenzied online bidding on Artfact helped push the final sale price past the high estimate to a final hammer price of $140,000. This dress sold was sold by the auction house, Profiles in History. A painting by the renowned Catalan Spanish artist Joan Miró (1893-1983), “Dog Barking at the Moon,” sold for $17,000 through Matthews Gallery Auctions. A triptych by artist Chuang Che sold for $38,000 by Garth’s Auctioneers and Appraisers. Also from Garth’s, an 18th century bronze Tibetan statue featuring a figure of the Arhat Pindola Bharadvaja was sold for $16,000. A folio from Louis Choris (1795-1828) titled, Vues Et Paysages Des Regions Equinoxiales Recueillis Dans Un Voyage Autour Du Monde. This item sold for $13,000 by Eldred’s Auction House. A painting by Percy Gray (1869-1952) titled “When Monterey Was Young” sold for $27,500 through the 2013 Coeur D’Alene Art Auction. A painting by Edmund Henry Osthaus (1858-1928) called “Setters on Point” sold by Copley Fine Art Auctions for $30,000. Artfact is the world leader in developing SaaS and ecommerce applications for the auction industry. Comprised of Artfact.com, Invaluable.com and AuctionZip.com, Artfact is the world’s largest live auction marketplace, reaching over 30 million unique bidders a year, and serving more than 25,000 individual auction houses globally. Through Artfact’s web properties, more than 3 million visitors per month arrive at the virtual doorsteps of auctioneers with unprecedented access to search and buy from over 160,000 auctions each year with a combined value of over $25 billion. For additional information, visit www.artfact.com.